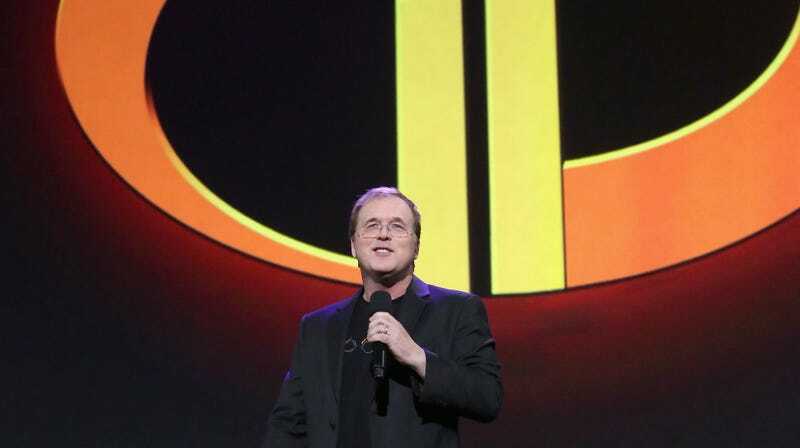 Director Brad Bird didn’t spend the full 14 years since the release of the first Incredibles making Incredibles 2, but he’s been thinking about it the whole time. Even though he had a few rough notions of what the sequel could be, without a strong villain, Bird basically felt like he had nothing. So he went and made 2007's Ratatouille. Then 2011's Mission Impossible: Ghost Protocol. And finally 2015's Tomorrowland. All along the way, fans continually asked about Incredibles 2 — but Bird didn’t yet have that one key ingredient. Then, finally, it hit him. Bird wouldn’t say what specifically didn’t work about his idea except that “It involved A.I. and I don’t want to give it away because I might fix it one day.” But it put everything in flux. “Now I’m screwed because I’ve got a release date and everybody’s working and going ‘You know what you’re doing right?’ I’m like ‘Eeeee, I’ll be right back,’” Bird said. Much of what the family is going through is perpetuated by ScreenSlaver. And though one might think a villain who controls people who look at screens is a direct reflection of today’s tech-happy society, that’s not entirely the case. Something that wasn’t reliable, though, was the superhero genre. When The Incredibles was released in 2004, Christopher Nolan had yet to reinvent Batman. There had only been one cinematic Spider-Man and the Marvel Cinematic Universe was still years away. But in 2018, Incredibles 2 is just one of many superheroes films being released. Bird admits the idea worried him. That’s why, much like the first Incredibles, Incredibles 2 isn’t a typical superhero movie. It’s not just a team of good guys suiting up and fighting bad guys. 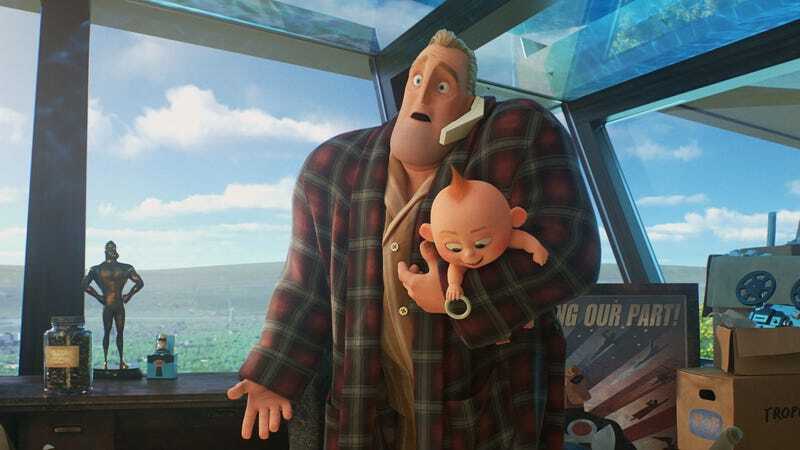 That’s not the movie Bird wanted to make last time, it’s not the film he wanted to make this time, and, should Incredibles 3 happen, it’s not likely to be what that film would be either.